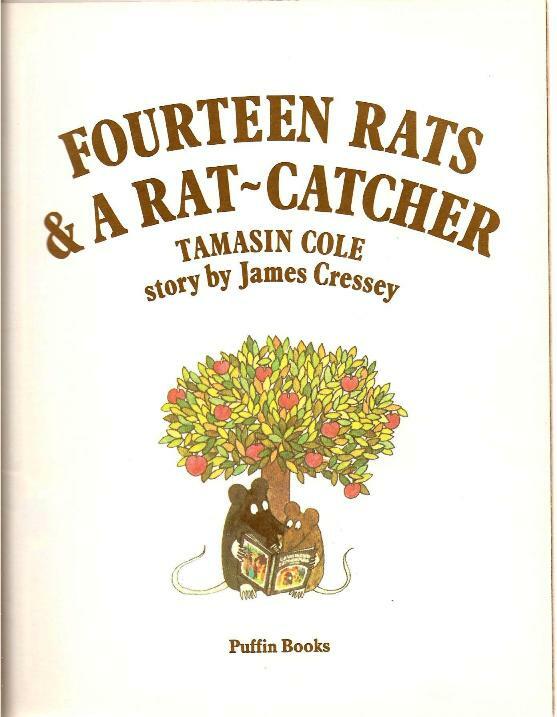 Fourteen Rats & A Rat-Catcher (by Tamasin Cole, story by James Cressey; Puffin, 1979) is a charming tale, or rather two tales, about fourteen tails. 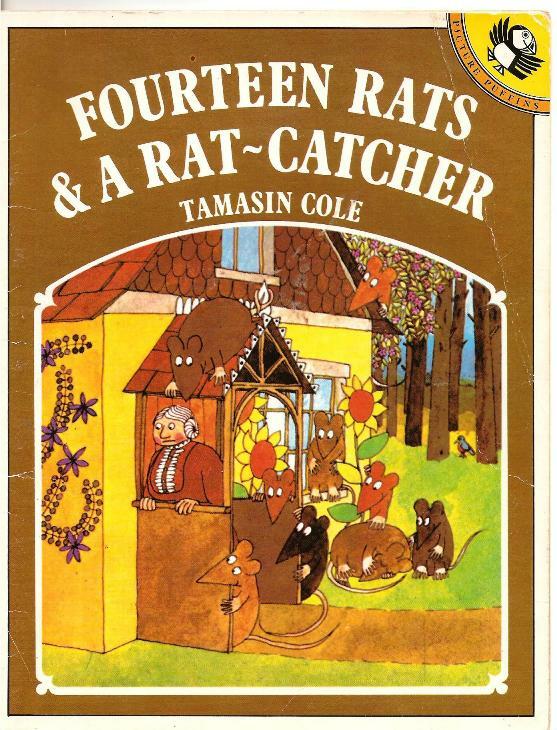 On the left-hand pages, an old lady lives in a cottage in the forest and is troubled by rats. On the right-hand pages, a family of rats lives under the floor and is troubled by the old lady.